Hoyo de Monterrey | Chicago's Pipe, Cigar & Tobacco Store | Iwan Ries & Co. 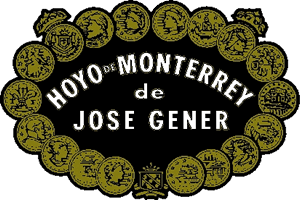 The original Hoyo de Monterrey was the 1865 inspiration of José Gener, one of the most respected growers in Cuba's famed Vuelta Abajo. Since the early 1970s, an equally illustrious Hoyo de Monterrey tradition has been firmly established in Honduras under the masterful guidance of cigar master Estelo Padrón. In its own full-bodied way, the Honduran Hoyo de Monterrey is, in the judgment of many, more Cuban in character than the Cuban Hoyo.